What makes our signs different from everyone elses? The answer is simple. It’s a whole different way of thinking. It starts with our definition of a sign. In our shop a sign is anything that draws attention to our customer’s business, product or service. A sign is not merely a flat substrate with letters stuck on it. That would be ordinary. 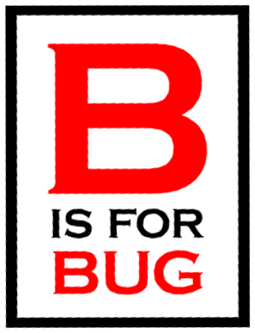 At our Sign Magic Workshops we do an exercise called ‘B’ is for BUG. We ask our students to create a true 3D panel with a bug on it. We provide the dimensional leaf panel and all the materials they might use... and even some books on bugs for reference if they require it. While most shops would first ask what font they would use we think a little differently. Our first question would probably be which end of a leaf do bugs eat first? In preparation for the class I made up some panels for examples. The pirate bug is a survey ridden creature, complete with peg leg, buggy eyes and a gold front tooth. He looks like he would bite in an instant. The second bug is more conventional - sort of. It features the type of bug that likes to eat everything green. And he’s a hungry little fellow, already almost through the leaf he grasps. Imagine this sign twelve feet tall. It would be a memorable sign to say the least... an instant landmark for our customer. It would be a sign that worked much harder than he average one out there. If you owned a pest control company which sign would you rather own? Lots of honors of late! A vault of ideas - just waiting.